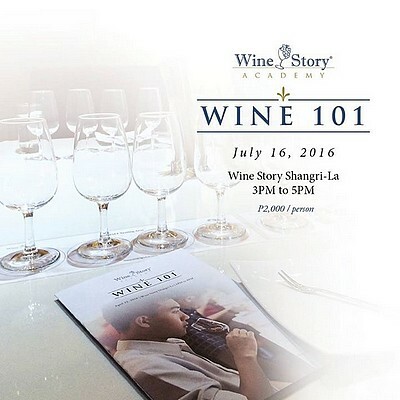 Sign up for Wine Story Academy's first class for July, Wine 101, happenig on July 16, 3 p.m., at the Wine Story Shangri-La Plaza. Enhance your wine enjoyment through the class and raise the collective bar of wine knowledge, passion, and service. Know all the basics of wine knowledge and learn how to be a wine connoisseur in no time! Class fee of P2,000, inclusive of food and fine wine for tasting and class materials. Slots are limited. To sign up, call 637-8888.